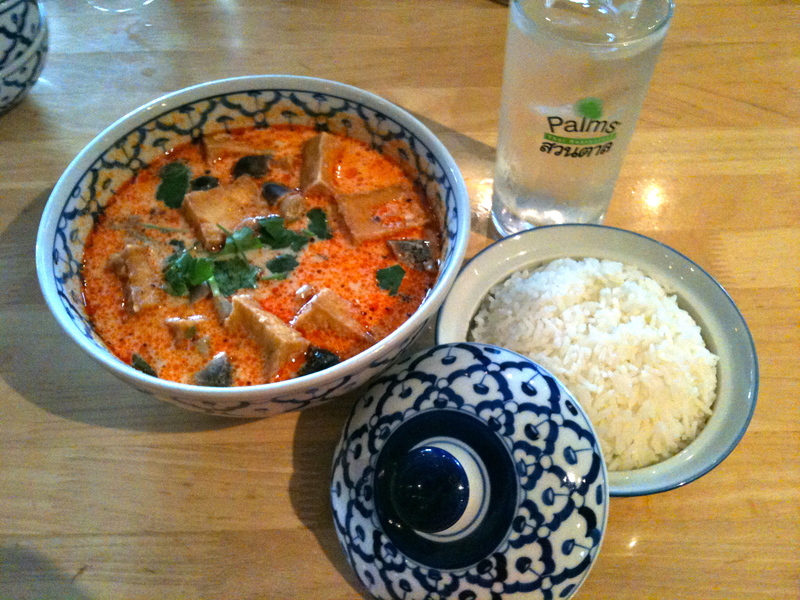 Spicy Coconut Soup with Fried Tofu and Mushroom... yummy!!! I need to remember to ask about FISH SAUCE in thai cooking. I totally forgot to ask the waitress about this yesterday when I order, the menu description did not mention it. Though the ingredients seems vegan, I forgot about the fish sauce :(… i’ll remember to ask next time. Though that soup is delicious, I didnt taste the fish sauce… mostly the coconut and the spices. The restaurant has excellent service; servers are attentive, food comes out fast and reasonably priced.